I had the chance to catch up with author and entrepreneur Clara Shih last week about her new project, Hearsay Social. Clara, the author of the well know and best-selling book “The Facebook Era” and ex-Google and salesforce.com executive, had been working in stealth mode on a new project to help companies manage social marketing campaigns and activities effectively. They came out of stealth mode and launched the new product yesterday. In many companies the marketing organization has pioneered the use of web 2.0 social tools for business, using new social channels to reach out to customers on Twitter, Facebook, LinkedIn, YouTube and many others. Often these social initiatives were grass roots and managed very loosely with individuals manually doing all of the heave lifting. As we’ve matured in our use of the tools and in general as businesses have started to institutionalize these efforts as more companies embrace their use, the great power of social tools to reach individuals has become even more evident. Unfortunately as the saying goes, with great power comes great responsibility. As several companies have learned stepping into social initiatives unprepared, without policies and plans, can backfire in monumental ways never possible before the social web with it’s hyper-connected ability to take information viral rapidly on a global scale. Hearsay Social is a SaaS based software platform that provides social marketing automation and monitoring capabilities specifically targeted at companies that are structured with a corporate brand but a hyper-local presence. The product allows control and management of content while providing necessary compliance capabilities and a full set of socialytic capabilities for measuring marketing effectiveness and refining campaigns. This corporate / local approach, as Hearsay labels it, provides companies that centrally manage a brand but have branches (franchised or not) or representatives in local markets the ability to assist, manage and monitor from a corporate view but operate from a local view to develop leads, manage presence and make connections. Companies structured in this manner could be in financial services (the compliance capabilities are particularly interesting here), retail, real estate, hospitality, and other franchised or direct sales businesses. For example Hearsay announced three reference customers with it’s product release, State Farm Insurance, 24 Hour Fitness and Farmers Insurance. 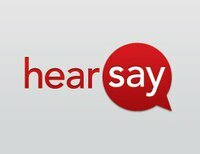 Hearsay Corp, the company behind the product, was co-founded by Clara and Steve Garrity, a former Microsoft employee in 2009. They have angel funding as well as funding from top tier VC firm Sequoia Capital and are based in San Francisco. Sorry if you find my question a bit basic, but I don´t get it…. How this software monitors messages and conversations of the branches without entering into the Twitter / Facebook accounts of its customers? I read three articles on this new company and I’m still thinking that its actions are…. on the border of violation of privacy.